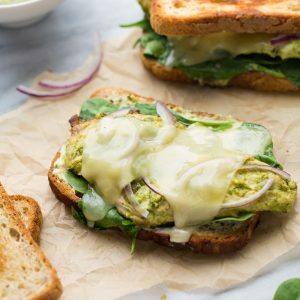 Spinach & Artichoke Dip Chicken Sandwiches! 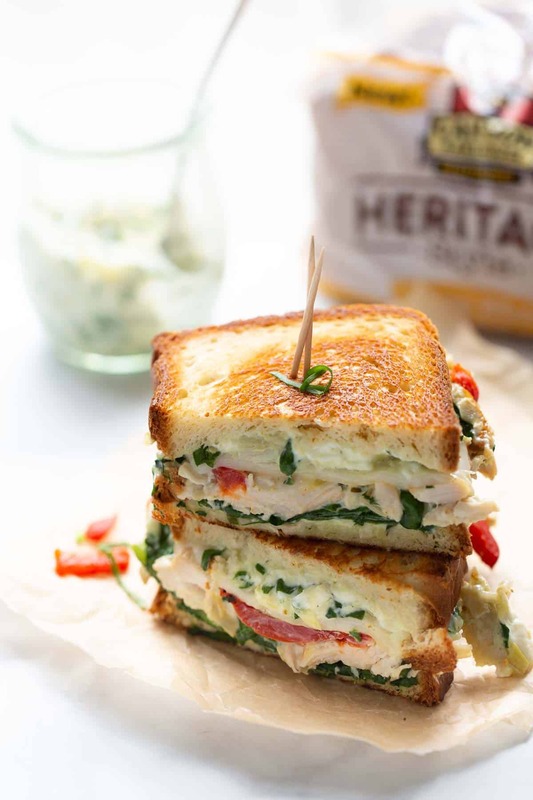 All the favorite flavors of cheesy, creamy spinach artichoke dip layered with chicken and gluten-free bread then grilled to perfection. Sure to be your new favorite sandwich! Also an opportunity to DONATE $10,000 to NO KID HUNGRY! 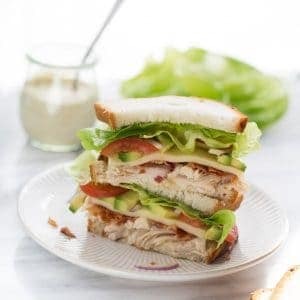 VOTE FOR MY SANDWICH HERE! This post was created in partnership with Canyon Bakehouse to support the charity No Kid Hungry. 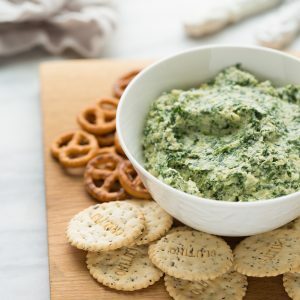 Is there anything better than spinach artichoke dip? If so I haven’t found it yet! You can’t beat a hot, creamy dip filled with spinach, marinated artichokes and cheese. 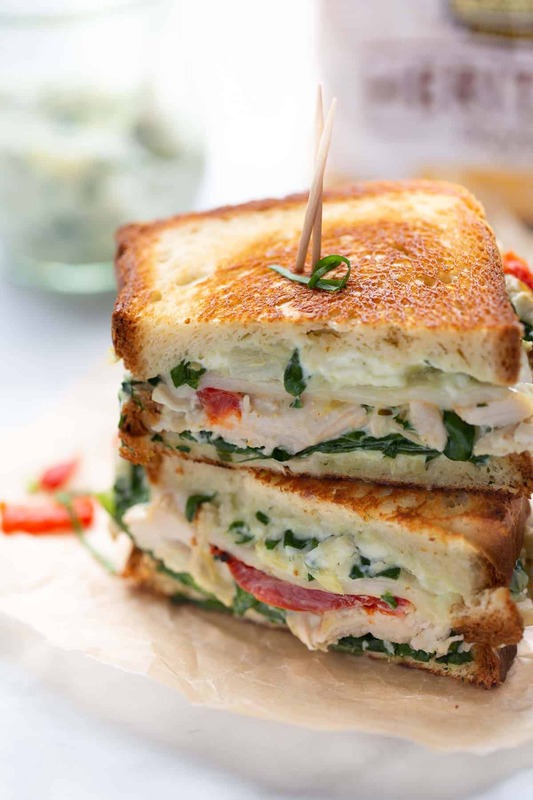 When thinking of the ultimate show-stopping sandwich to create for Canyon Bakehouse’s Sammie Smackdown putting spinach artichoke dip in sandwich form seemed like the perfect idea! 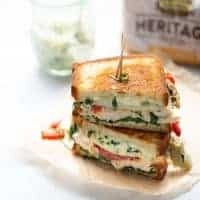 Take your favorite party dip then layer it with roasted red peppers, red onion, havarti cheese, spinach and shredded chicken and you have unbelievable sandwich perfection! So what is this Sammie Smackdown? Canyon Bakehouse selected four awesome bloggers to compete for $10,000 to be donate to a charity of their choice. Basically Canyon Bakehouse is giving $10,000 to the charity of choosing by the blogger with the winning sandwich! For my charity I selected No Kid Hungry. No Kid Hungry is doing amazing work connecting kids with meals in their communities. 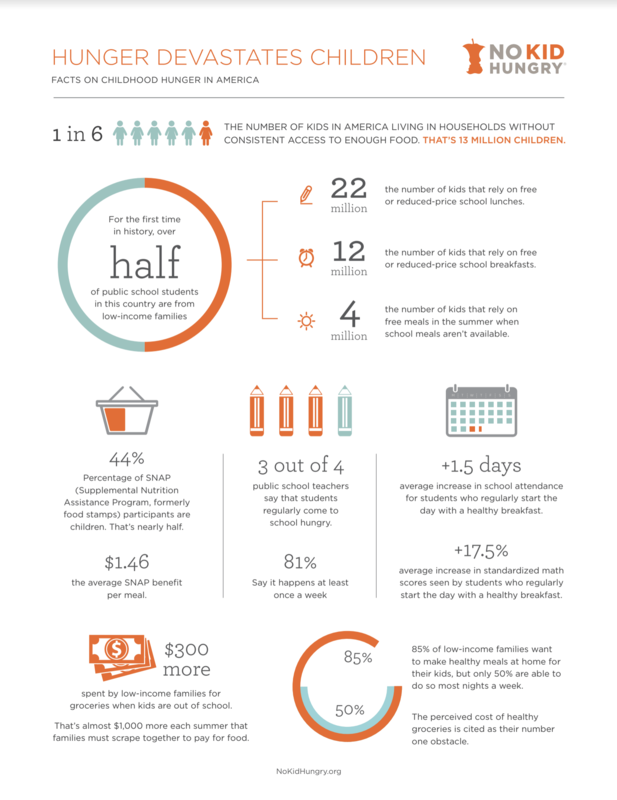 It may surprised you to hear but childhood hunger is a huge problem in America today. 1 in 6 kids in America struggles with hunger. When kids don’t get the food they need, they are likely to get sick more often and struggle in school. through programs like school breakfast and summer meals. During the summer No Kid Hungry does especially important work providing meals to kids who usually rely on school lunch. You can text FOOD to 877 to get list of summer feeding sites in your area. Isn’t that amazing? No Kid Hungry empowers communities (now in all 50 states!) with the infrastructure to create meal programs. In addition to the summer meal programs, now three million more kids across the country are now starting the school day with a healthy breakfast because of No Kid Hungry. This is such an amazing opportunity to help kids in America.Voting runs July 23-August 20th. Spread the word and THANK YOU FOR VOTING for the SPINACH & ARTICHOKE DIP CHICKEN SANDWICH! In a medium bowl, add the cream cheese, mayonnaise, parmesan cheese, garlic powder, artichoke hearts and spinach. Stir to combine. Place the chicken in a bowl and mix with 1/2-3/4 cup of the spread to evenly coat. 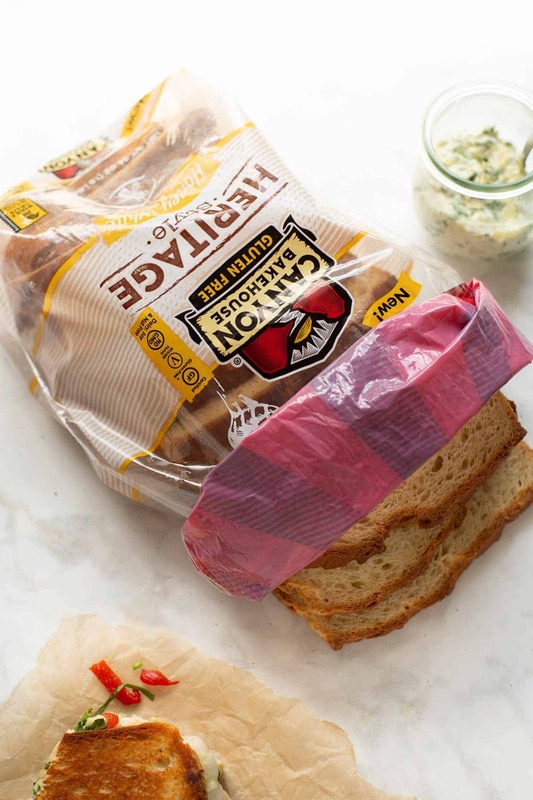 Take 2 pieces of Canyon Bakehouse Heritage Honey White Bread and spread with the artichoke mixture. Top one piece of bread with a few slices of roasted red pepper followed by the cheese. Top the other piece of bread with a small handful of spinach. Place a scoop of the chicken mixture on top of the cheese followed by a crack of freshly ground pepper. Top with the other slice of bread. Grill or press in a panini press until hot a golden. Slice and serve. Enjoy! This looks so delicious. Cannot wait to try my hand at my own artichoke dip for the family! This sandwich is warm and gooey and absolutely delicious!